Fast response, great guys! Kept us calm. (15-48312; A. Fine, M. Sparks). I was terrified but they eased my fears. Very friendly. (15-46567; C. Cabral, T. Paulasantos). The ambulance crew was excellent and went above and beyond duty to make me comfortable and relaxed. The crew members were absolutely wonderful. 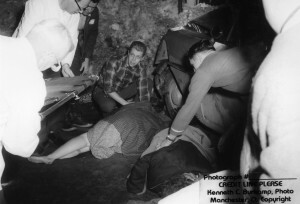 (15-41591; Manchester Fire Rescue EMS w/ R. McConville, A. Sarles). Incredibly fast – they arrived 2 minutes into my phone call with 911. Service was very good + professional. Can’t say enough about the two that came to us. (15-48409; F. Tomboly, R. Berwick). My wife + I appreciate your service. The [EMS Providers] were the BEST, EXCELLENT SERVICE. (15-48479; H. Marshall, C. Tevnan). No words could describe their help. Thanks! Great at keeping me calm. I experienced a first time hemiplegic migraine (transient paralysis on one side). Incredibly frightening but the symptoms had resolved before the ambulance arrived…they were so pleasant enroute, keeping me talking and my mind off the issue. Thank you so much to both of the guys. (15-48781; V. Maston, C. LaChance). Professional – kind – caring. The crew was amazing – especially the medic who was calm, patient, supportive and eased all stress as we transported my newborn – a huge thank you to him! (15-41868; V. Maston, M. Khan). Very professional service, medic in the back with was very nice. I worked in the 80’s with [Volunteer Ambulance]. The EMT/Paramedic was extremely kind & caring and at first I was not going to go in the ambulance but after talking to me I agreed I should be checked out. (15-3903; S. Parent, M. Khan). Sharp, courteous, professional. (15-44267; T. Lachappelle, R. Fross). I felt at ease during my heart attack and felt I was getting the best possible care. (15-38292; C. Willey, M. Campbell). Caring, efficient + responded quickly. T. and his partner were excellent caretakers during our most trying moments. We were very grateful to have them. (15-16368; T. LaChappelle, J. Startup). Arrived promptly. Quickly assessed I was not having a stroke. Crew was timely, caring and professional. The crew was phenomenal. Very compassionate and reassuring. (15-37889; T. Oliver, B. Langan). Professional and friendly. Thank you! MANCHESTER – As of July 9, 2015, ASM’s Jonathan Lentini has been cleared by Eastern Connecticut Health Network medical control for independent dispatch as a paramedic to the towns that ASM serves. Jon’s preceptors were Paramedic Greg Derosier and Paramedic Supervisor Vinnie Maston. The full precepting phase can take ten to 12 weeks or more as the paramedic is prepped for the realities of the field. 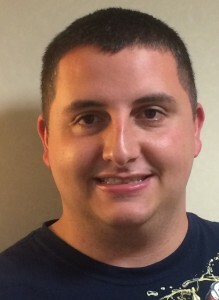 As with all precepting phases at ASM, Jon’s final approval came from Eastern Connecticut Health Network after shadowing Jon and his preceptor in the field as they responded to emergency calls. Jon started at ASM as an EMT-Basic in 2011 and graduated from the Capital Community College Paramedic Program. On behalf of the ASM Family, we would like to wish Jon the best of luck and say we are very proud to have such skilled professionals on staff. WILLIMANTIC — Saturday July 4th, Willimantic, CT celebrated the holiday with the 30th year running of their famous Boom Box Parade. ASM was proud to be a part of the tradition again this year. It was a tradition that began in 1986 when Kathy Clark suggested using boom boxes while the radio station played the music, when a marching band was not available for the parade. It was surprising success and became a regular event. I was in the very first Boom Box parade in 1986, carrying my very own boom box, walking down the street with family and friends. Now I drive my source of music and proudly play 1400 AM as the parade sounds “boom” out of the speakers of the ASM ambulance, while I roll down the parade route. It’s great to see how all the different groups that participate and how well received ASM is, with all the waves, excitement, and thank you’s from spectators as I drive by. For the past six years, I have enjoyed being in the Boom Box parade representing ASM, a company I am ecstatic to work for, doing a job I love. A tradition I hope to continue for many more years. Very confident of being cared for. I am very grateful for the care given me. I was in extreme pain and nervous and they did everything to make me comfortable and well cared for. (15-35230; B. Langan, B. McDonald with Manchester Fire Rescue EMS). They both did their job well and professionally. I have nothing but good to say about their treatment. Thanks very much! (15-37089; K. Stock, J. Shapiro). They were very nice, informed me of what they were doing and what might have been going on with me. I appreciate them. (15-14308; B. McDonald, S. Gregg with Manchester Fire Rescue EMS). Everyone was excellent – (Thank you so much). EMT in back of ambulance was very calming and informational. Made ride more relaxing. (15-37376; A. Harkins, B. Chase). Very, very impressed with the entire episode. Thank you so much for helping me! (15-35797; J. Bak, M. Makulis with East Hartford Fire Department). D + S were wonderful – Very professional but very kind, caring and reassuring. D + S were excellent! A tremendous asset to your team. (15-39491; D. Achilli, S. Testa). I was pleased with all of them, thank you. Confident. There were 2 calls in the same day – ALL care both times were A++ (15-42274; A. Fine, M. Kleza). Very comforting and caring! 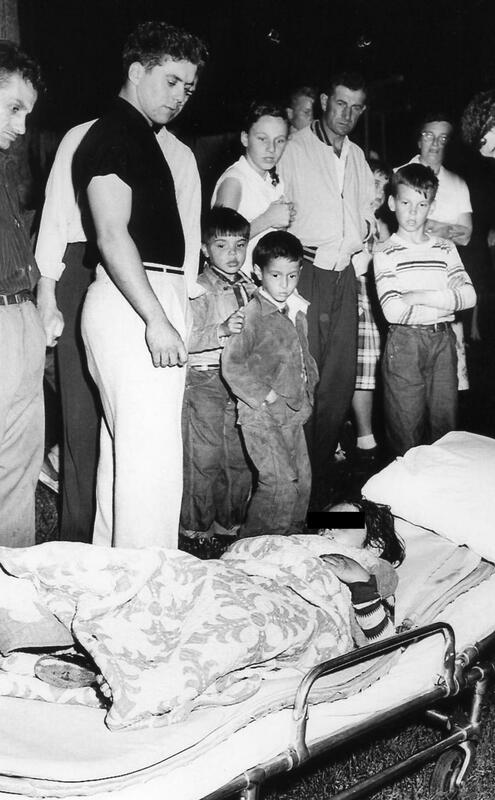 (15-42306; J. Traber, D. Rice). I wish I could personally thank the EMT who saved my life. He successfully stopped my heart with medication and thankful to him and Jesus Christ that my heart restarted. (15-39149; R. Gonska, J. Basora). 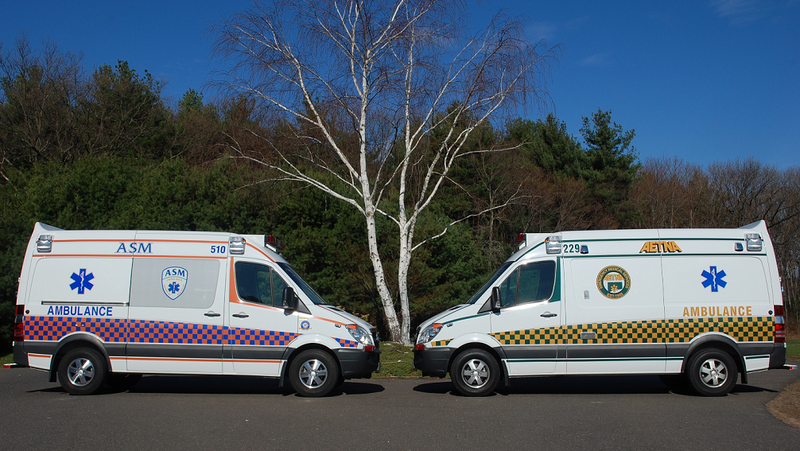 HARTFORD, Conn. — A Connecticut foundation is raising support to launch a statewide confidential and anonymous Peer Support phone line for EMS providers by the end of 2015. 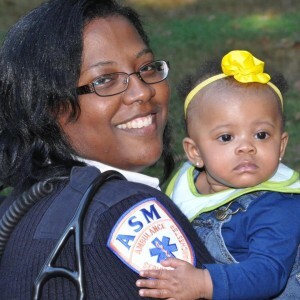 The Carolyn Edwards Foundation, a Connecticut based nonprofit, was formed after Carolyn Edwards, a Manchester EMT, was involved in a motorcycle accident in 2014. The initial mission of the foundation was to support Edwards, her children, and her recovery from a traumatic brain injury. During the weeks that followed Edward’s injury and the killing of EMT Donavan Alden, at about the same time by a drunk driver, it became evident to the foundation that the EMS community in the state lacked a support structure for stress release and relief. The foundation is undertaking the effort to create a peer support line, from EMS providers, for EMS providers, to provide the support and resources an at-risk EMS provider may need during a time of crisis. I began my career in the Westport, CT, Fire Department in 2007 as a 20-year-old kid who had just achieved his lifelong goal of becoming a firefighter. During the first few years of my career, I became a volunteer with Donate Life CT to raise awareness about organ and tissue donation. Ironically, only a couple years later, I blew out my knee on the job and required surgery that involved donated tissue. I went through nine months of rehabilitation to get conditioned to do the job again and went back on the line. Throughout this time, I had given speeches and worked events as a volunteer for organ and tissue donation, always thinking that organ donation was the biggest and most iconic part. It wasn’t until I met another volunteer who had lost a sister in a motor vehicle accident that I realized how important tissue donation is. We were talking about it and I mentioned how I never really felt like I had much “street cred” being a tissue recipient giving speeches next to heart and liver recipients. She then told me about her sister and how she was only able to donate her tissue due to the circumstances of her accident. I was truly humbled hearing her talk about how the experience of losing a sister was able to have some positive outcome. And that is really the reason that I feel organ and tissue donation is so important, especially in the emergency services field. Every day we are faced with terrible and tragic scenes where people lose their lives. But given the advances in modern medicine, we have the ability as human beings to turn something tragic into something heroic and courageous. I think that the mission of organ and tissue donation is an extension of our mission in the field, and I encourage everybody to talk it over with their friends and families. Chances are you know somebody who has benefited from organ or tissue donation. Even if you don’t, the statistics showing the need for more registered donors are staggering. I encourage you to learn more about organ and tissue donation and consider becoming registered donors.